El director general de la Agencia de Captación de Inversiones “BestinCLM”, Olivier Poncet, acompañado del presidente y consejero delegado de RewAir Holding A/S, Soren Laureen, ha presentado este miércoles en Villarrubia de los Ojos (Ciudad Real) a RewAir, empresa proveedora de componentes de fibra de vidrio y especializada en suministrar al sector eólico (particularmente a los productores de palas eólicas). 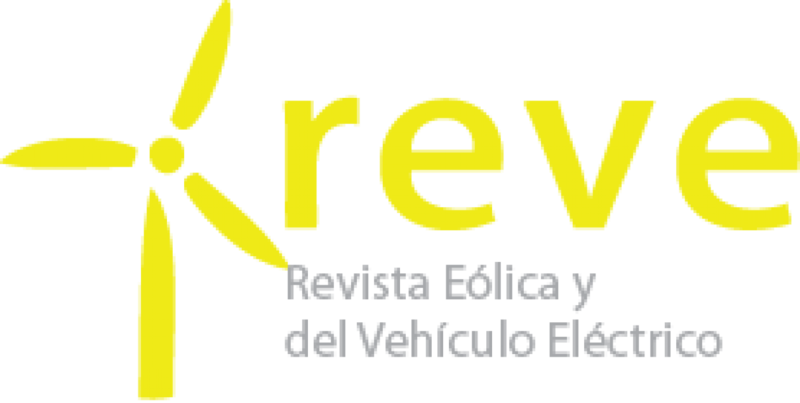 RewAir España, S.L., filial enteramente participada por RewAir Holding A/S, Dinamarca, ha elegido Villarrubia de los Ojos (Ciudad Real) en Castilla-La Mancha para ubicar un nuevo centro de producción –el primero en España- y ha iniciado actividades en mayo de 2009. Por su parte el presidente de la compañía ha resaltado el gran apoyo tanto por del Gobierno regional como de la Administración local y ha valorado en “gran medida la buena planificación de las infraestructuras de la región y el tener acceso a trabajadores cualificados y motivados. Estamos deseando hacer crecer nuestro negocio junto a clientes y comunidad local en los años que vienen”. El alcalde de Villarrubia de los Ojos, Fernando García Santos, ha manifestado que “es una buena noticia, como si le hubiera tocado la lotería a Villarrubia de los Ojos, y supondrá un impulso a nuestro Polígono Industrial Santa Ana.”. Además, ha agradecido la inversión por los puestos de trabajo que creará en nuestra localidad, tanto a la empresa como a la Junta de Comunidades. RewAir suministra componentes de fibra de vidrio y compuestos a los productores de turbinas eólicas, por lo que factor clave para el éxito de un negocio como el de RewAir es su presencia local y la proximidad geográfica cerca de sus clientes. También, la competitividad de los productos y servicios de la empresa es altamente dependiente de costes laborales y logísticos. En general, tal y como se ha resaltado por parte de la compañía la ubicación de Villarubia de los Ojos es óptima para RewAir y desde este emplazamiento la compañía ofrecerá suministro al mercado español y a otros mercados vecinos. La producción se iniciará con un equipo de 5 a 7 trabajadores directos. El plan está alineado con clientes actuales y futuros para acelerar el crecimiento a corto plazo y así, desarrollar un centro de competencia especialmente enfocado en el desarrollo, producción y suministro “just in time” de kits y componentes de fibra de vidrio y compuestos para un sector de un crecimiento tan rápido como el de la energía eólica. The Castilla-La Mancha region will be the center of our activity in Spain. RewAir España, S.L. – a fully owned subsidiary of RewAir Holding A/S, Denmark – is located in Villarrubia de los Ojos, Castilla-La Mancha and starts production in May 2009. RewAir supply wind turbine producers with glass fiber and composite components. Local presence and close vicinity to clients is a key success factor to business such as ours for mainly two reasons. Firstly a constant and close dialogue – supplier and client in between – is important in order for the parties optimize and develop deliveries, quality and logistics’ on a consecutive basis. This is a pre-assumption for strong competitive power now and in the future. Secondly the cost of supply is highly dependent on the cost of labor and the logistical costs. All in all the location in Villarrubia de los Ojos is optimal to RewAir and we will supply the Spanish and neighboring markets from this location. We have experienced a highly supportive attitude from the local administration and community. We appreciate the well laid out infrastructure of the region, and we are highly encouraged by the access to skilled and motivated labor. We look forward to expand our business together with our clients and the local community over the coming years. Production will start up in a small lean set-up with 5 to 7 direct employees. The plan is hand-in-hand with present and future clients to accelerate growth within short – thus generating a center of competence with special focus on development, production and just-in-time supply of glass fiber and composite kits and components for the fast growing wind energy sector. We send a great Thank You to all parties and individuals involved in the project of setting up the Spanish entity. We develop and manufacture customised solutions that facilitate and improve the efficiency of glass fibre moulding processes such as the moulding of windmill turbine blades and nacelles. We offer a complete product programme ranging from glass fibre and vacuum kits to individual components such as root and blade covers. We add value to materials such as glass fibre, non-wovens, foils and plastic components. We ensure the efficiency of our customers’ own production through ‘intelligent’ supplies delivered on time. RewAir enhances the efficiency of non-core activities of manufacturers of wind turbine blades. Constant innovation combined with state-of-the-art technology, effective quality assurance and logistics solutions has earned us the trust of our customers and given us the competitive edge that in recent years has secured us a unique position as sub-contractors to leading wind turbine companies. We have production facilities in Denmark and Spain and are in the process of setting up production facilities in a number of other locations. Our success is achieved by a combination of high quality, targeted solutions and customer contact built on trust and closeness. RewAir develops and manufactures customised solutions that facilitate and improve the efficiency of glass fibre moulding processes such as the moulding of wind turbine blades and nacelles. We offer a complete product programme ranging from glass fibre and vacuum kits to individual components such as root and blade covers. While our products primarily target the wind turbine industry, we also service customers in other industries, e.g. machine and boat manufacturers. We specialise in turning endless lengths of material into complex products and solutions. Our flexible production facilities and methods enable us to manufacture individual components as well as large series of components. While the production process is subject to our quality assurance controls, we also do our best to accommodate special requests from customers. Certificates, check lists and other materials and quality assurance documentation are part of the standard service we provide. RewAir collaborates with and purchases raw glass fibre directly from leading international glass fibre manufacturers. We cut, customise, roll and package all types of glass fibre, such as woven, biaxial, uniaxial and combinations of materials. We have long-standing experience in the efficient handling, fitting, quality assurance, packaging and shipping of various types of glass fibre material. We source materials from our extensive network of international materials suppliers at competitive prices. We are happy to help find the right materials for the job, so you have the benefit of all our experience in handling, adjusting and joining various types of material, ensuring production suitability and minimising waste. In addition to base materials, the product solution often includes other components, such as plastic parts, valves, zippers, Velcro etc. In this area, too, we cooperate with a large number of international suppliers and are able to assist our customers in finding the perfect solution. Our experience of gluing and welding processes usually serves to make the solution simpler and more cost-effective.